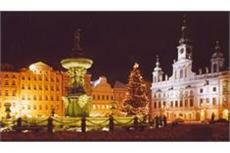 Discover all that Ceske Budejovice has to offer with Residence U Cerne Veze as a base. The Residence U Cerne Veze boasts a convenient location with modern amenities in every guestroom and superb service. Room amenities include non smoking rooms, air conditioning, desk, hair dryer, in room safe, separate shower and tub, microwave. This Ceske Budejovice accommodation features on-site facilities such as restaurant, safety deposit boxes, business center. Modern comfort and convenience are seamlessly combined to ensure the guests' satisfaction. Please complete our secure online booking form by entering your period of stay.